When 21-year-old Lilly eloped with Peter Pulitzer, they escaped the hustle and bustle of New York City for the sun and sand of Palm Beach. In the shadow of Peter's citrus groves, Lilly opened a juice stand. To disguise the juice stains on her clothing, she had a sleeveless dress made from colorfully-printed cotton. Soon, she was selling more dresses than juice. 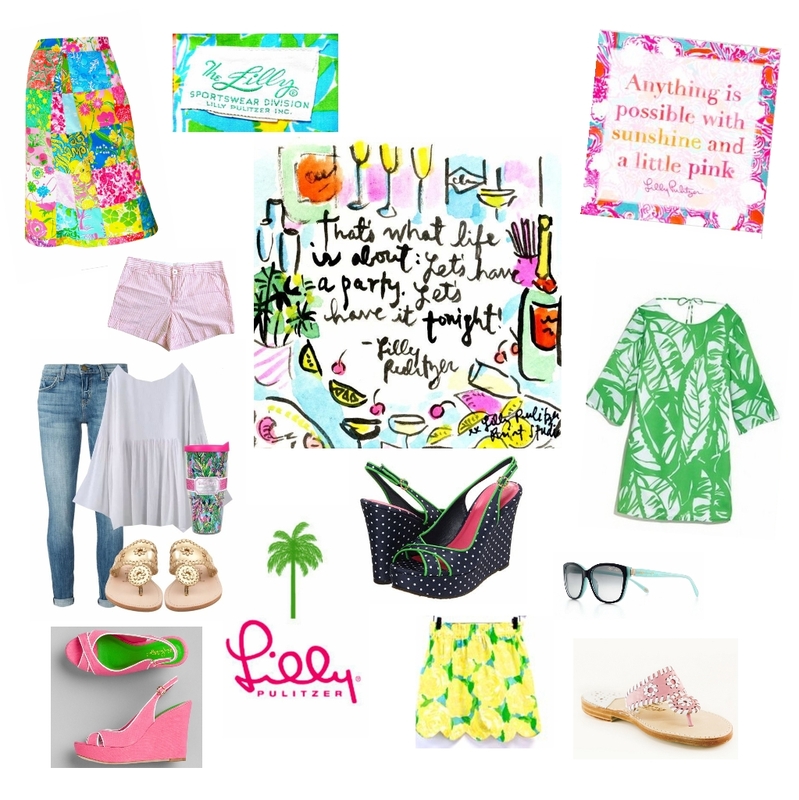 For those of you that are in the middle of winter I present to you for your enjoyment, the Lilly Pulitzer fashion layout. This is the "in season" essential for the Palm Beach look. I must admit I have fallen into the trap. The skirt upper left was my first Lilly. Then the wedge heels and next the pink sandals. Yes even the stripe short shorts - all in my closet. Do I wear them yes - A girl must fit in while shopping in Palm Beach.